Imagine the first encounter with your Porsche sports car or SUV – not in downtown traffic, but rather on the winding roads, autobahns, and beautiful countryside that inspired its unique design and exhilarating performance. Imagine touring the factories in Zuffenhausen and Leipzig where your Porsche is meticulously crafted, then being presented with your keys… and an even more gratifying opportunity: the chance to tour Europe in rare style behind the wheel of the world’s most spirited automobile. Touring Europe in a new “factory fresh” Porsche represents the ultimate vacation for driving enthusiasts. Fortunately, the Porsche European Delivery Program can easily make that ultimate vacation a reality. It begins when you order your new Porsche from an authorized Porsche Dealer in the United States or Canada for delivery at the factory. When you arrive in Germany, your first few hours will be spent as the special guest of Porsche. You can visit the Porsche Museum and stroll through a half-century of sports car evolution in Zuffenhausen or experience our state-of-the-art facility in Leipzig, the birthplace of the Porsche Cayenne and Panamera. A Porsche Delivery Consultant will hand you the keys to your new Porsche and acquaint you with its operation and features. What happens next is up to you. Explore the charm and history of Germany. Sprint to Paris, Rome, Prague or any other exciting European city you choose. Unleash the power of your Porsche on the autobahn or, with the Cayenne, even off-road. Revel in its precise handling on the serpentine back roads. The freedom to tour Europe in exquisite fashion is yours, without the cost and inconvenience of renting or leasing a car. Porsche’s all-inclusive program includes factory delivery, shipment of your automobile to North America, marine insurance, and collision and third-party insurance. Even the cab fare from the airport to the Porsche factory and one free hotel night is included! Any resident of the United States or Canada can take advantage of Porsche’s European Delivery Program, provided they place a vehicle order with and purchase that vehicle from an authorized Porsche dealer. Participants must take delivery of their vehicle in person at the Porsche factory in Germany. Military personnel stationed in Europe are not eligible under the terms of this program. People with special work or study arrangements may be restricted as a result of regulations within the country in which they will be working or studying. (If there is a question concerning eligibility, a diplomatic or counsel office of the host country should be contacted prior to placing the order. 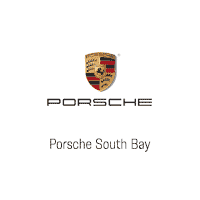 Place an order with any authorized Porsche dealer in North America. Choose the model, options, and date you would like to pick up your Porsche in Germany (weekends and German holidays excluded). To ensure that you receive the exact Porsche you want on the delivery date you specify, place your order at least 12 weeks prior to delivery. Your dealer may still be able to find you a car in less than 12 weeks, but your selection may be limited by production availability. Delivery dates for “special orders” involving custom or non-standard colors and interiors are subject to material availability. Please check with your dealer. To place the order, fill out the European Delivery Vehicle Order Form with your dealer. The order is subject to confirmation by Porsche Cars North America, Inc. You will need to determine how long you will be driving your Porsche in Europe and have your dealer enter the insurance length you’ll need for your Porsche on your European Delivery order form (various insurance time-frames with a maximum of three months – please ask your dealer for specific extended insurance times available). The first two weeks of insurance are included in the program. Upon review of the Order Form, the European Delivery Coordinator will reach out to the customer and dealer with a confirmation email confirming the date, time and location of Delivery. Deliveries are scheduled by appointment only, customers should not make travel plans until their delivery date is confirmed by the European Delivery Coordinator. Make sure you read and understand all of the conditions printed on the European Delivery Vehicle Order Form. If you have any difficulty in ordering, please do not hesitate to call your dealership or contact European.Delivery@Porsche.us. Upon receiving final payment, your dealer will present you with your final delivery information, which will include your designated delivery time, hotel and taxi vouchers, and your personal Monroney Label. Please be certain the Monroney Label checks against your copy of the European Delivery Vehicle Order Form regarding the model, options, insurance, and delivery date. Payment must be made to your authorized Porsche dealer. Full payment includes the purchase price of the vehicle that was negotiated with your dealer. Note: German tax laws require a Value Added Tax (VAT) to be paid on all purchases. The “VAT” will be charged if the vehicle is not exported within the terms of the European Delivery contract.